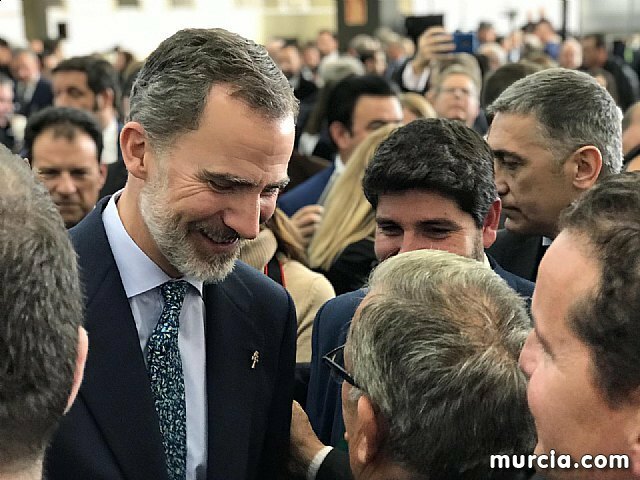 The mayor of Totana, Andrés García, on behalf of the Municipal Corporation, attended today the inauguration of the new international airport of the Region of Murcia, in the airport facilities of Corvera, in an act chaired by King Felipe VI, and included the presence of more than 500 guests. 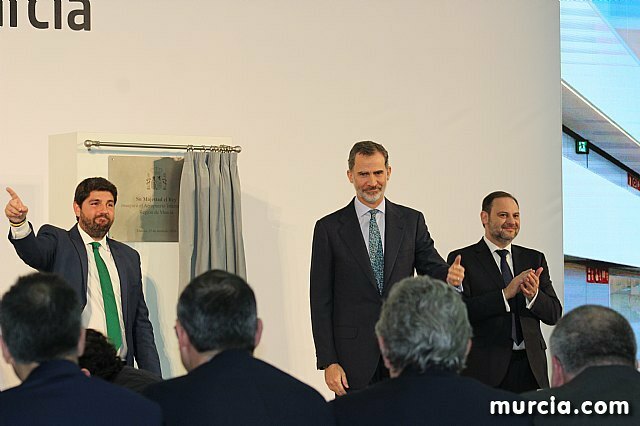 It was attended by, among others, the regional president, Fernando López Miras, the Government delegate, Diego Conesa, and the Minister of Development, José Luis Ã�balos, as well as numerous personalities from the political and business world in this autonomous community. A total of 140 British tourists premiered this morning the arrival terminal of the international airport of Murcia, where they landed minutes before 10:30 am on board the first flight that has operated on this aerodrome. The plane, of the company Ryanair, came from the English airport of the East Midlands, where it left half an hour later in flight of return in the first international exit of the new Murcia airport. Three cabin crew from the Region of Murcia piloted the FR1824 that arrived at this airport, with capacity for four operations per hour, which hopes to improve the numbers of travelers from San Javier, which has already closed, which ended in 2018 with a total of 1.2 million users. The monarch has arrived on his own plane, which was the second to land on the new aerodrome. and the mayor of Murcia and the Secretary of State for Infrastructures have also been there. After the reception, the king, accompanied by a small entourage, toured the airport facilities with the rest of the authorities. 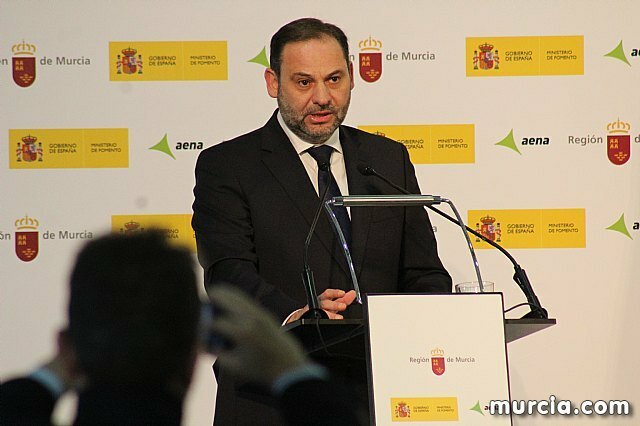 the Minister of Development, Patricio Valverde, has explained the airport data and the conditions of the contract awarded to Aena. 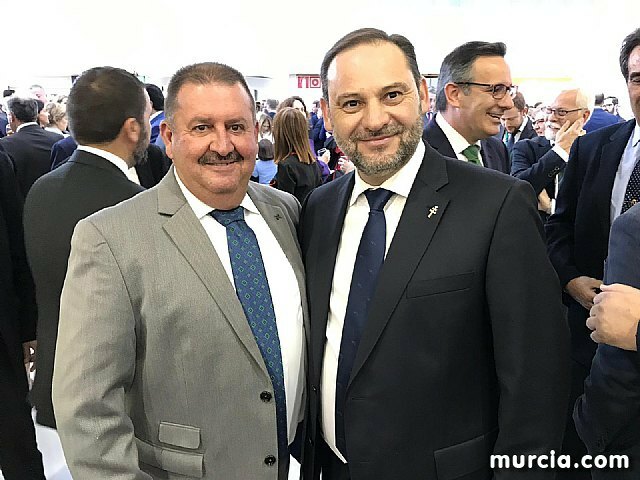 From today, the Murcia Region international airport links with 12 destinations in three countries of the European Union (nine from the United Kingdom, two from Belgium and one from Ireland) operated by the airlines Ryanair, EasyJet and Tuifly. In the second quarter of the year, destinations to Spain and Europe will increase. There are already confirmed flights to Asturias, Manchester, Leeds and also opens to the Nordic market with 4 cities in Norway (Oslo, Bergen, Stavanger and Trondheim). Tickets are also now on sale to fly to Prague or Moscow starting in May. The airport has a 24-hour slot, with 16 operations per 60 minutes. and also, it starts with the forecast of one million passengers per year, 12 routes and weekly flights.